With the arrival of a new president, federal policy takes center stage. However, this year also is a major year for state policy; only in odd years does every state legislature in the country convene. This year, we are working on state legislation with partners in Arizona, California, North Carolina, Texas, Wisconsin and Wyoming. In working with state legislatures, we can design laws that meet the particular needs and context of an individual state. The pace is fast, and solutions are pragmatic. 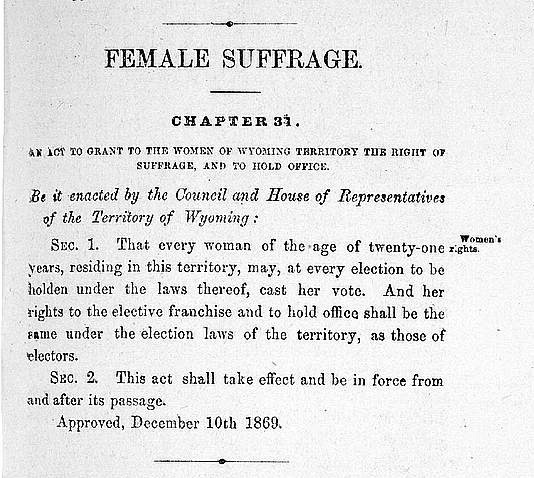 For example, back in 1869, Wyoming became the first state to grant women the right to vote. The state passed “Chapter 31” in its very first legislative session, largely as part of a campaign to attract more women settlers to the territory. It took the federal government 50 more years to pass the 19th Amendment, giving women the right to vote across the nation. Today, Wyoming is taking the lead again. We are joining forces with a coalition of energetic, strategic community agencies, schools and young people to pass a state law to help unaccompanied youth. The inability of unaccompanied youth under 18 years old to manage their own affairs can make it impossible for them to receive services that keep them safe and help them along the road to independence. In Wyoming, our team drafted a bill to allow unaccompanied homeless minors to obtain their own birth certificates, consent for housing and services, get a job, buy a car, and sign up for college. We crafted language that makes sense in the context of Wyoming’s state laws and the reality of youth homelessness in that state. Republican and Democratic legislators co-sponsored the bill, and earlier this week, a legislative committee heard testimony from community leaders, the state McKinney-Vento Coordinator, a school district McKinney-Vento liaison, and a young woman who has experienced homelessness. The bill passed unanimously out of this first committee and is on its way to its next vote. You can track this Wyoming bill at https://legiscan.com/WY/bill/HB0159/2017. Many other states have taken steps to empower unaccompanied youth, and there are many tools available to help advocates, including model state laws from the American Bar Association; a how-to manual on state legislative advocacy for unaccompanied youth; a state-by-state review of laws affecting unaccompanied youth; and a field guide to state requirements for obtaining IDs and birth certificates. We will continue working with others to craft laws that meet the real needs of young people and help ensure that children, youth and families can access state and local services. Does your state have a great law you would like to share? Would a little legal and policy expertise help you move legislation in your state? Contact Patricia Julianelle at patricia@schoolhouseconnection.org. We’ll be glad to share your models and help you make change in your state.